Then you’ll love Bompas and Parr’s latest immersive adventure Lost Lagoon. Set sails on Lost Lagoon waters from February to early April and swash buckle your way to Captain Morgans island. We sailed, we gathered, we drank grog and we partied with Captain Morgan and other hearties at this unique immersive pirate themed event. Learn more about Bompas & Parr and their upcoming events via here. 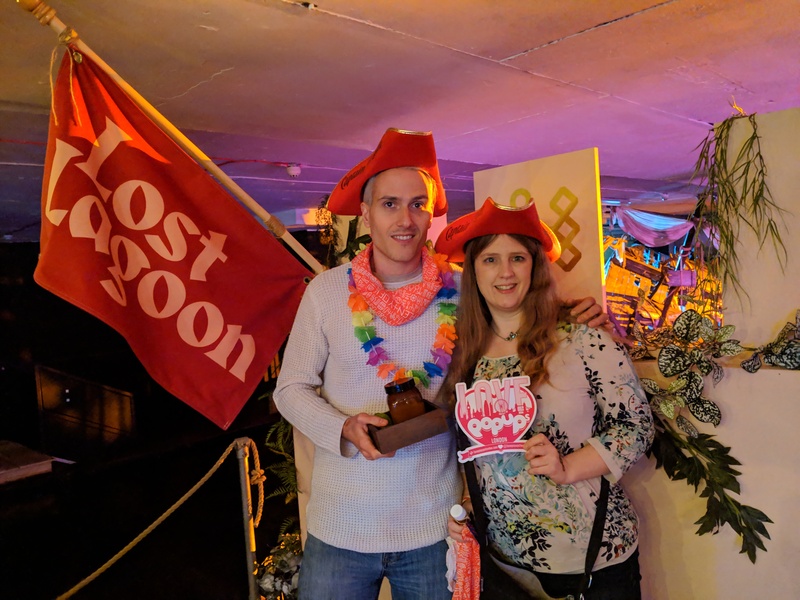 Thank you to Bompas & Parr for letting me and another of the Love Pop Ups London community come along to immersive ourselves into an adventure like no other. Get links to our blogs from the comments section below.